Here you will find all of RTEC Treecare’s ongoing tree service coupons and tree service deals. FALL TREE PRUNING: Fall is one of the best times to prune your trees. By pruning in fall dead weight is removed which makes your tree stronger and less likely to break or fall during winter storms. For best results, combo your fall tree pruning with our Multi-Vitamin program. Multi-Vitamin treatments are a mix of organic materials such as sea kelp that acts as a multi-vitamin/herbal tea for your tree. 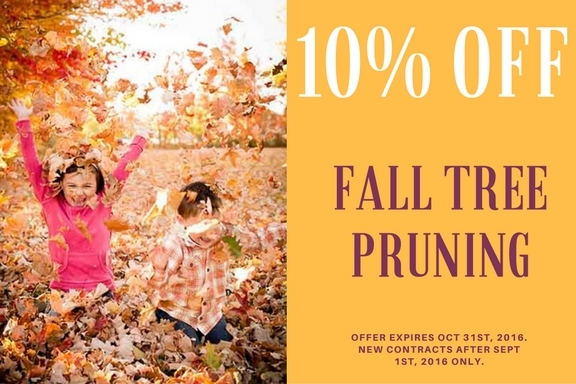 Special offer expires Oct. 10th, 2016. New contracts after 9/27/2016 only. 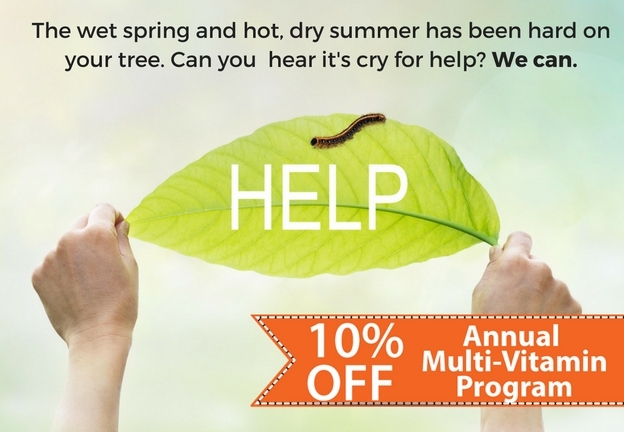 ANNUAL MULTI-VITAMIN PROGRAM: 100% Organic treatment to improve your tree’s root growth & overall tree health. With treatments 2-4 times a year – scheduled in the fall and spring you can strengthen your tree’s resistance to insect & diseases, root damage, and extreme weather. The treatment is a natural blend of sugars, bacteria, humic acid, sea kelp extract, and fungi, all strategically chosen to give your trees the boost they need.